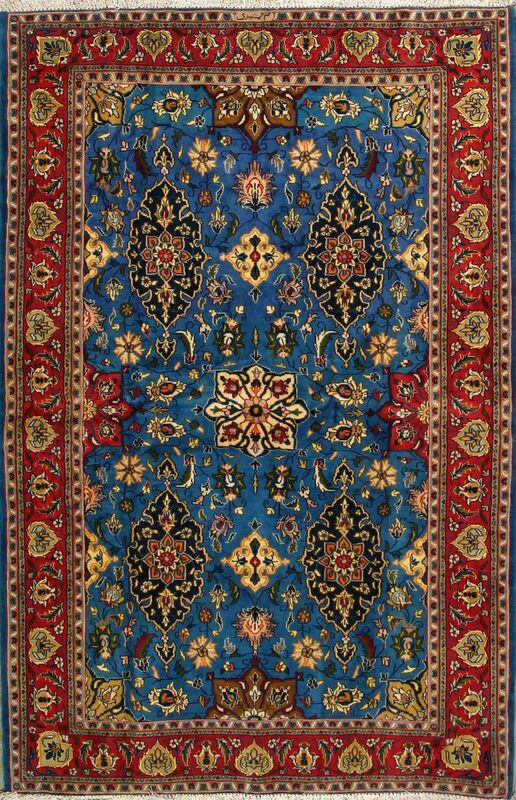 Explore Persian Carpet, Persian Rug, and more! 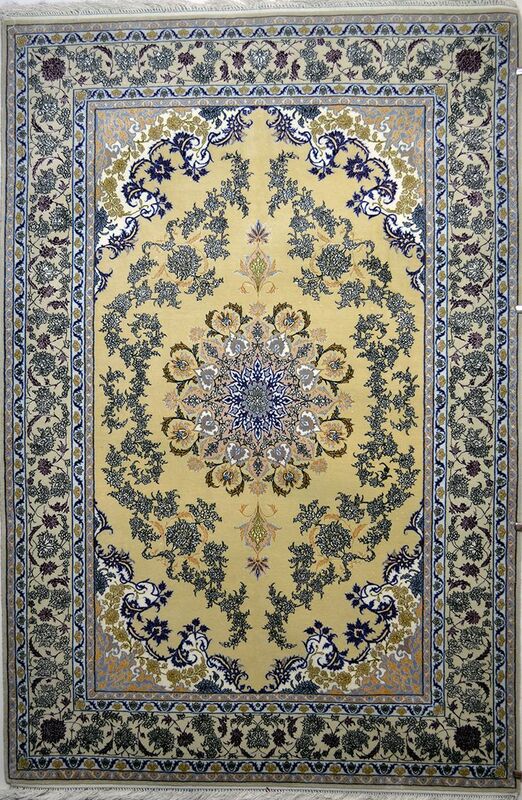 Paint Floor Tiles Persian Carpet Persian Rug Iranian Rugs Carpet Design Painted Floors Kilim Rugs Oriental Rugs Luxury Furniture Silk Persian carpet. 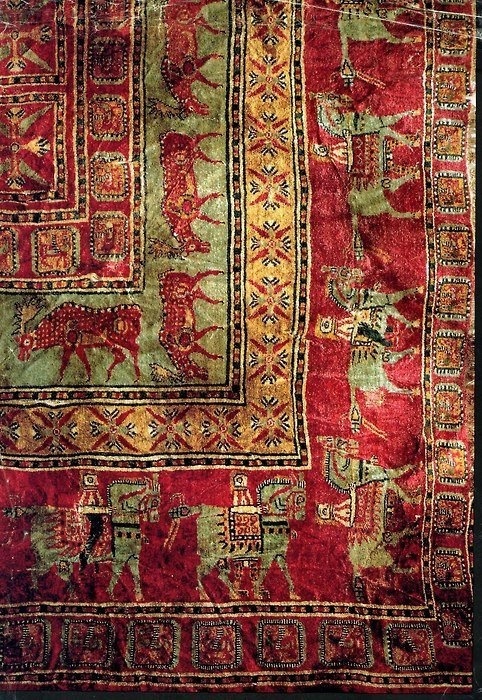 Berber Rug A Hotel Textile Patterns Camel Prayer Rug Kilims Tapestries Murals Camels I like ! 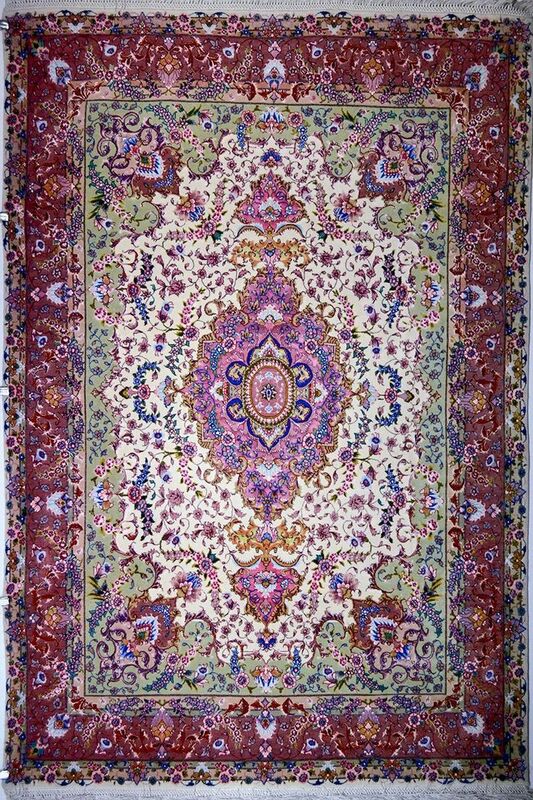 Persian Rugs, Are They Good Investments? 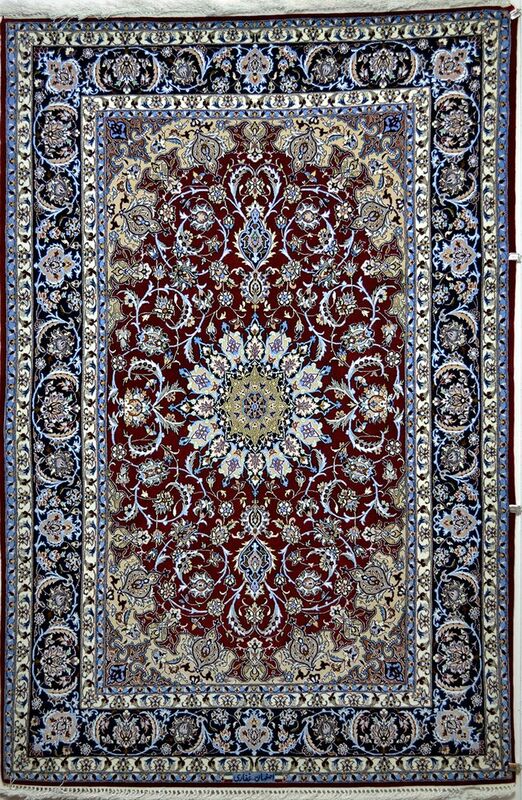 Are Persian Rugs Good Investments? 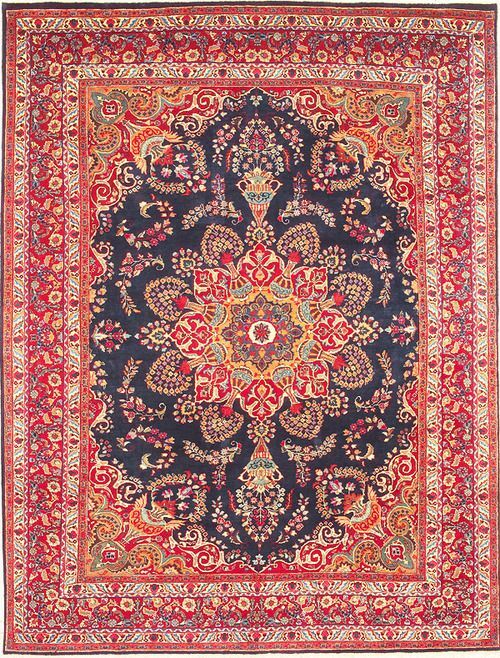 How many times have we heard that oriental rugs make great investments. Do they? There are certainly many that have been. One that is fairly well known is the Salor tent bag that went through the hands of a couple of dealers before a third one recognized it for what it was, bought it for less than $1,000, and made a killing on it. Another is the Saryk torba that languished with a $300 price tag in a New Orleans antique shop for many years, then found its way to Skinner’s in Boston a few years ago and sold for over $23,000 (this piece was included in the ICOC “Atlantic Collections” catalog). Tales like these are enough to give many a customer visions of a retirement nest egg with aesthetics (do monthly statements from stock brokers and mutual funds have that!). 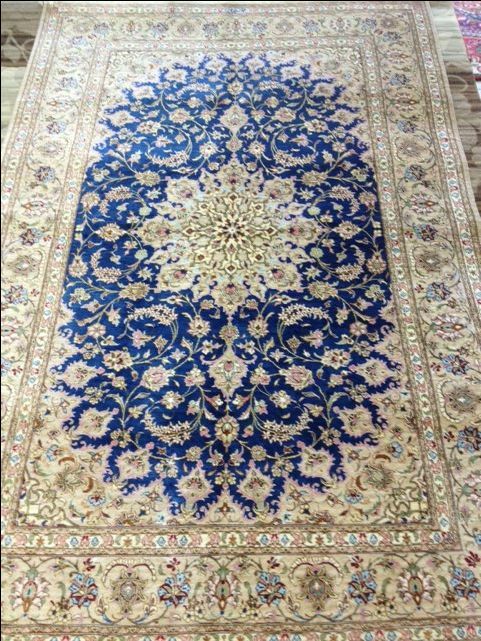 How realistic is the prospect that you can get finds like those often enough to accumulate wealth by buying rugs? Not very much better than hitting the lottery, maybe even worse. I don’t mean to sound completely pessimistic. After all, you don’t have to have your money increase tenfold overnight to have had it invested well. It just has to increase at a reasonable rate over a fairly long time to satisfy most folks. 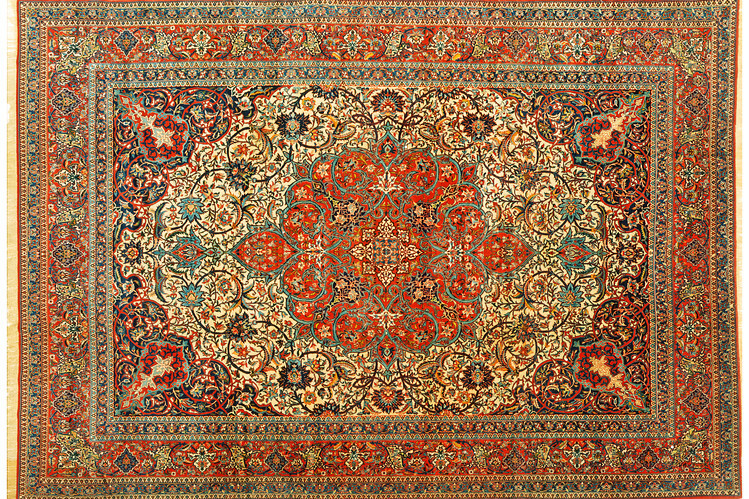 And, if you aren’t doing it as a business, the rugs you buy and sell are of no more interest to the U.S. Internal Revenue Service than the sofa you sold at a yard sale. Let’s look at the realities. I’ll ignore the windfalls that are encountered now and then because they are really rare and, while they can lead to terrific percentage profits, they aren’t likely to happen to any of us very often. How long could the lucky (and perceptive) person who bought the Saryk torba for $300 and sold it at Skinner’s for about $23,000 survive on $16,000 or so, his share of the selling price? 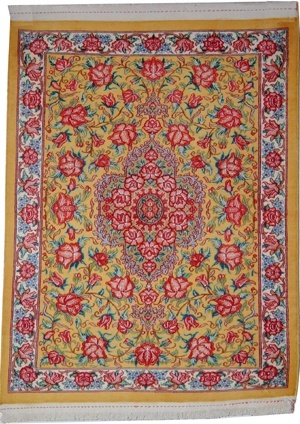 The most common sources of rugs, for most of us, are likely to be dealers. Indeed, the usual sources of the advice to buy for investment are dealers and itinerant auctioneers. Most dealers are hard working, knowledgeable, honest business people. Really. But some do play on their customers’ greed. The fact is, the buyer generally can expect to buy retail and sell wholesale. A fair retail price is typically around twice the wholesale price. 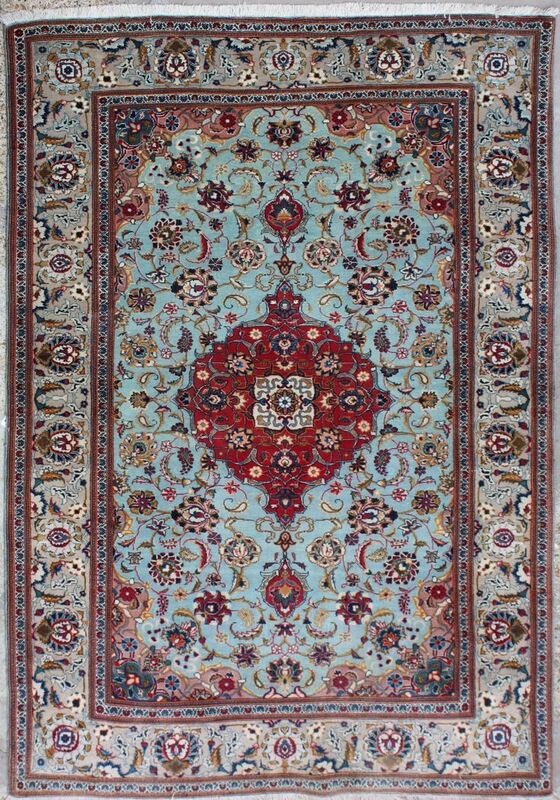 This means that when he wants to sell that rug, he must sell it at wholesale if he can find a dealer or private buyer who will take it for that. How many of us would invest in stocks if the break-even point was twice the initial cost? Even in today’s exuberant stock market, that would be a sucker bet. 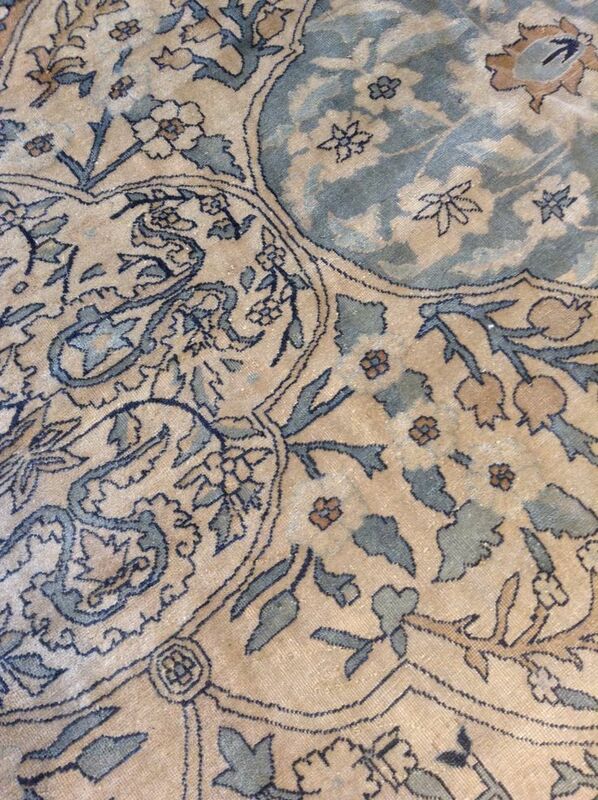 Marketing a rug is no trivial matter. Okay, you could go to the major auction houses and bid against the dealers. All you need to do is go one bid (generally, 5% to 10%) beyond what one of them thinks is a reasonable wholesale cost, to get many of the pieces offered at Sotheby’s, Christie’s or Skinner’s. That starts to get a whole lot closer to the commission a broker might charge for getting some shares of stock, or that a mutual fund might in fees either up front or within just a few years. Are you expert enough to buy near wholesale regularly? Is anyone? I’ve seen many a piece sold at what I thought were bargain prices, but many others at prices that I thought were insanely high. Let’s look at the record of the world’s most expert appraisers and see how they do. 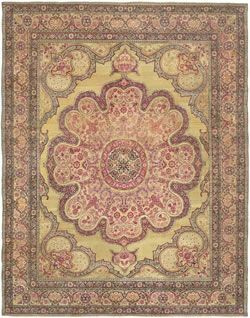 The heads of the rug departments at the major auction houses place their estimates on more than 1,000 rugs every year. They probably have at least that many more pass through their hands that they reject for their sales; we’ll just ignore those. 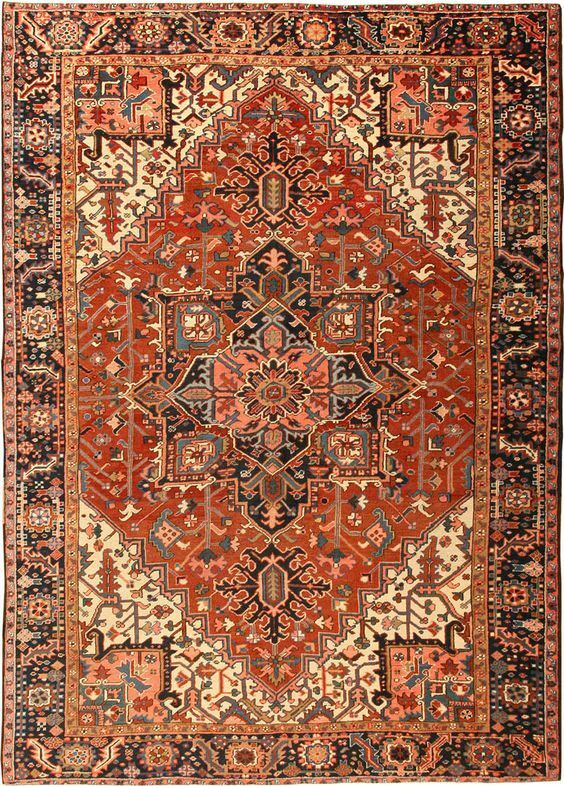 Unlike most appraisers, they not only put estimates on a great many rugs, they actually find out rather quickly whether their appraisals were accurate in predicting market value. 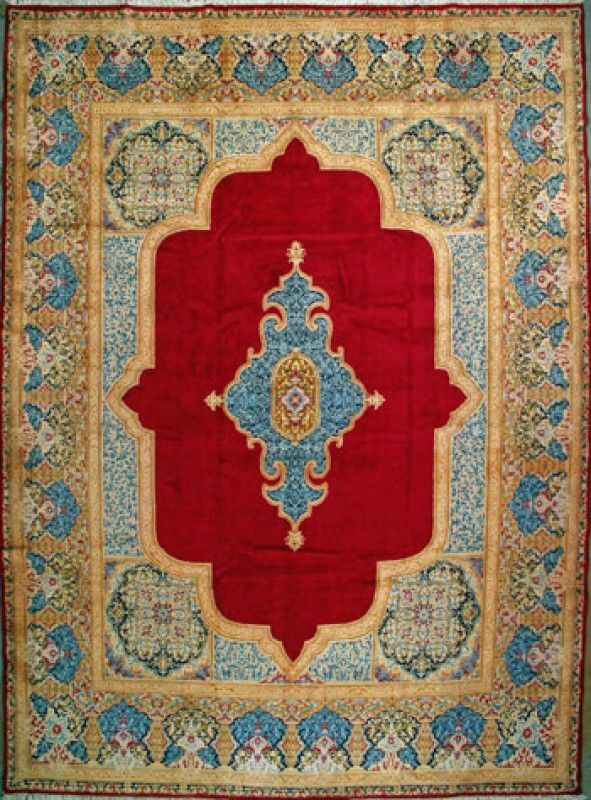 The estimates they put on rugs typically encompass a range of about 25% to 30%. That is, they will estimate that one piece will sell at $2,500 to $3,000, another at $10,000 to $14,000; and so forth. What do you think actually happens on sale day? Well, at a typical sale at these houses, about 30% of the pieces don’t sell at all. The market isn’t willing to cough up the reserve (minimum price acceptable to the consignor) that is put on most pieces. The reserve isn’t made public, but the auction houses will not accept a reserve that’s more than their low estimate of the selling price. Does the 30% unsold rate mean that the house experts’ estimates were right 70% of the time, even with a 25% or so window for error? Not at all. In addition to the 30% that didn’t sell, some pieces will sell for amounts below the estimated minimum, some for more than the estimated maximum. Overall, about 50% of the pieces in any sale will sell within the range of estimates. The most expert, most experienced appraisers in the world, are wrong by a significant margin about half the time. Can you or I can do better consistently? I don’t think so. I’ve had one person tell me that he thought the downside risk of a purchase at a major auction house would be that you could lose 5% to 10% plus the auction house commission on the piece, at most. The reasoning was that it could be consigned to the same house and the underbidder (the person whose bid was just below yours) would again ante up to one bid below the one for which you made the purchase. Just for ha-ha, let’s suppose the market is stable over time, and that the underbidder still wants the rug. That is, he hasn’t already found another that met his desire for this one, and he hasn’t already spent the money he had reserved for it. If those conditions aren’t met there’s not even a semblance of logic to this kind of thinking. One of the things you need to remember is that you and the underbidder may have been the only bidders on the piece, so the only reason the other guy had to offer as much as he did was that you were bidding against him. With you out of the auction, he might be able to get it for very much less. Does all of this mean that there is no chance that any of us will profit from our rug collecting. Nonsense. It just isn’t the sort of thing you want to use for retirement planning. 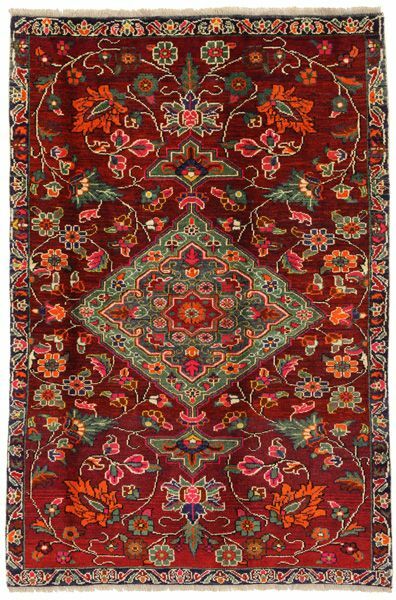 Good collectible rugs do tend to increase in value over fairly long periods, but you also have to be aware that collector fashions change over time. 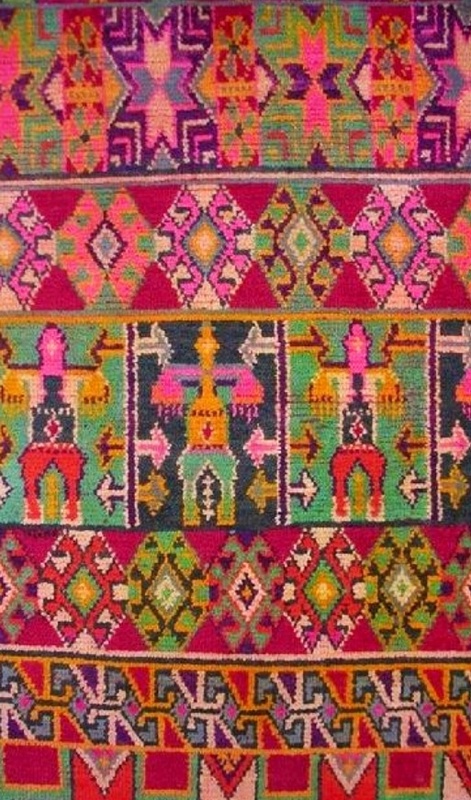 The current fashion among collectors is heavily toward tribal and rustic weavings, but this hasn’t always been so and could change without much warning. 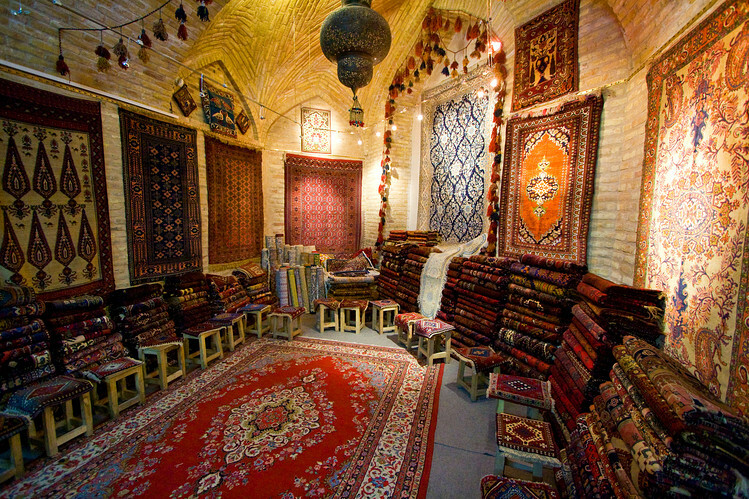 Unanticipated events can dramatically alter the supply of certain kinds of rugs. 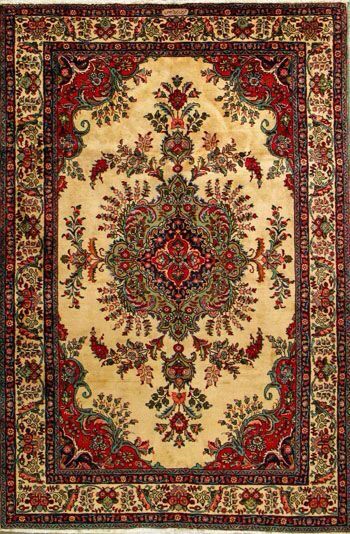 For example, the collapse of the USSR brought down the prices of Caucasian rugs this way. All of that said, suppose you still want to make investment a major consideration in your purchases. You understand the risks, but would like to do it anyway. What should you be doing as a buyer? Well, you certainly want to make some attempts to predict where the ever-changing fashions are going to take the market. 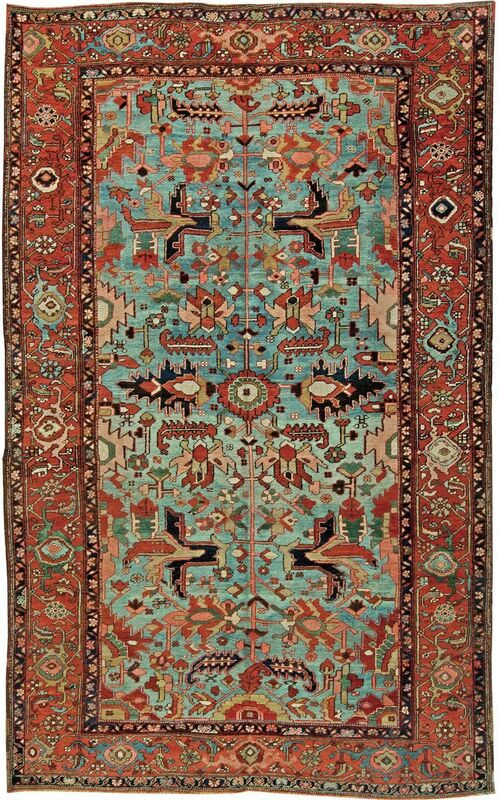 My impression, for whatever it’s worth, is that Belouch, South Persian and Kurdish pieces have been the ones most rapidly gaining favor with collectors over the past 10 years or so, and these would be fairly high on my list. 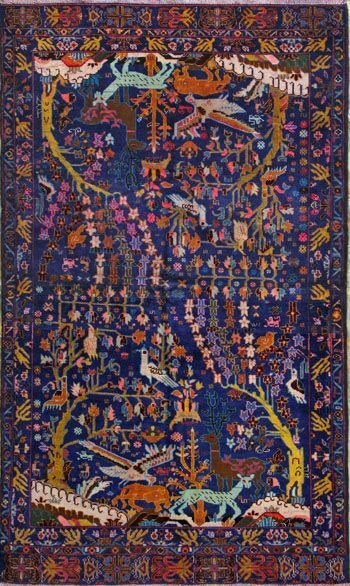 I am also of the opinion that weavings from mainland southeast Asia (Laos and Cambodia) are still largely undiscovered by collectors, have extraordinary aesthetics, are technically sophisticated, and have the kinds of cultural significance to which collectors are attracted. From the standpoint of potential appreciation in market value, the best bets in textiles (as in just about any collectibles) will be the very best pieces that there are. These are unlikely to come cheaply, but are the ones that will most likely be in shortest supply and highest demand. There is, after all, only one of the very best of type, and every collector wants it. More ordinary pieces, although much less expensive, are also less likely to appreciate in value. 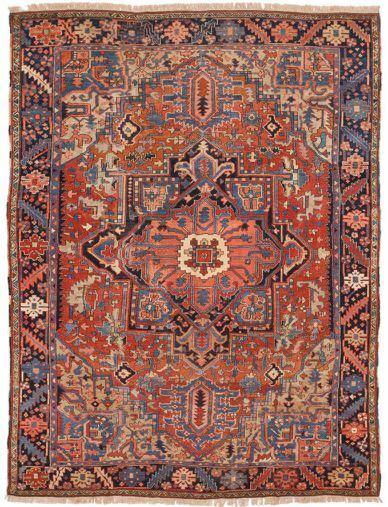 Unless you’ve examined and handled lots of rugs in lots of places and are pretty confident that you really have a handle on values and in your own aesthetic judgements, buying at auction is probably going to be very risky business for you. Try to find one or more knowledgeable dealers who can give you good advice and who will let you exchange your purchase as a credit towards another piece later on. What’s the bottom line? For me, it’s pretty simple. Buy pieces that reach out to you as works of art, that you want to live amid. They will bring you pleasure in the same way that any other work of art that reaches you will. Perhaps they will increase in value a lot, perhaps a little, perhaps not at all. That isn’t important because you’re unlikely to part with them at any price if they really affect you that way. If they don’t grab you, don’t grab them. Reputation: Find a reputable dealer. 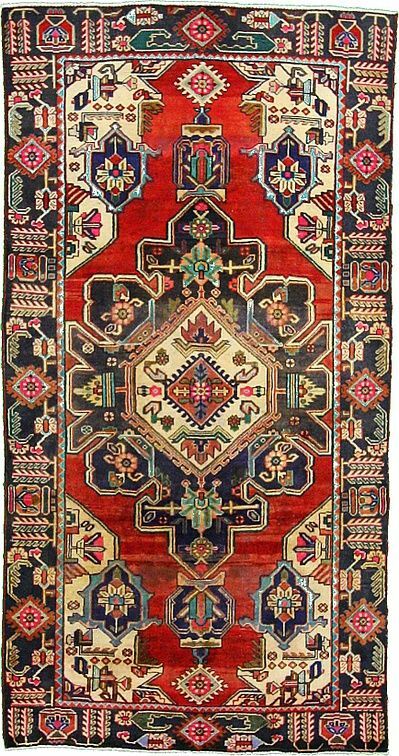 Mohamad Golparvar, who runs Seneh Carpets in north London (senehcarpet.co.uk), a treasure trove of tribal and city designs, says that a good dealer will always let you try before you buy. Geography: Do your research. 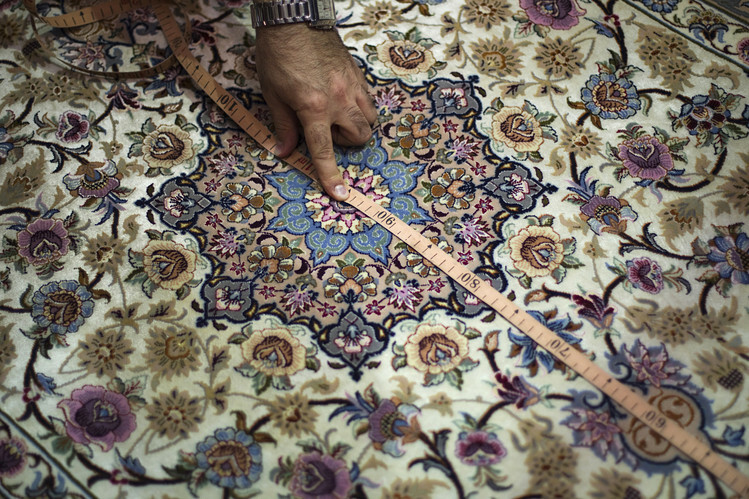 Iran has many cities and villages famed for weaving, each with its own history. Learning about the differences will help you. 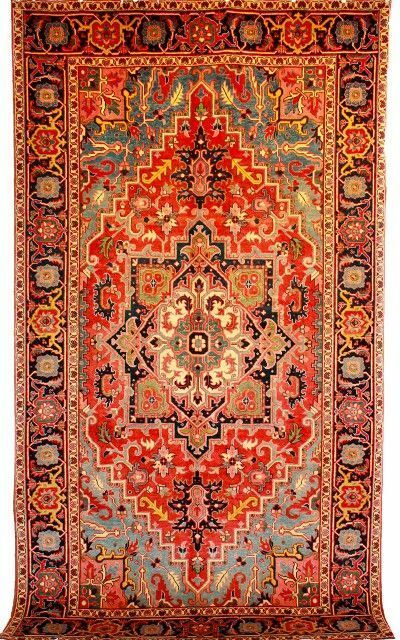 Condition: Fine Persian rugs can take years to weave by hand, and mistakes creep in—but don’t take them as an indication of quality. Look for more serious defects like moth and sun damage. 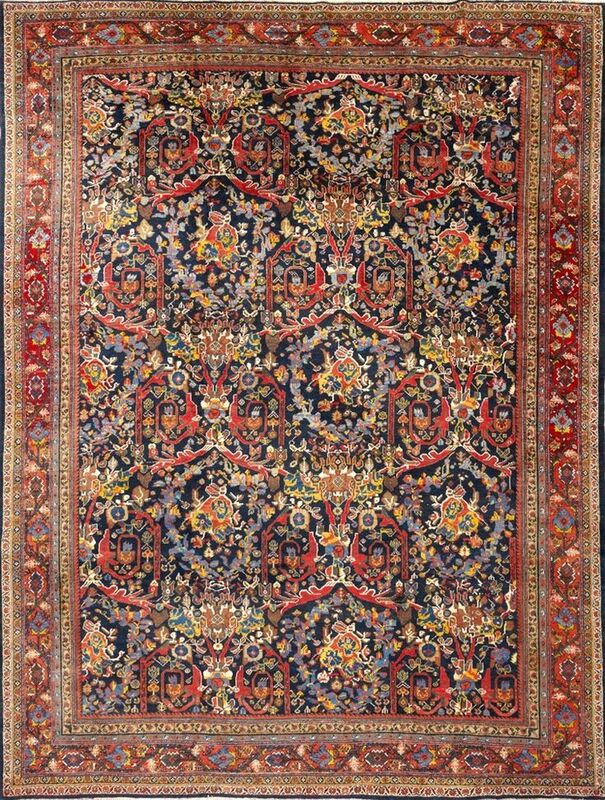 Value: Remember, a fine Persian rugs will last many years and retain a strong resale value. They are all unique, and that is an important factor: Where there is rarity there is value. 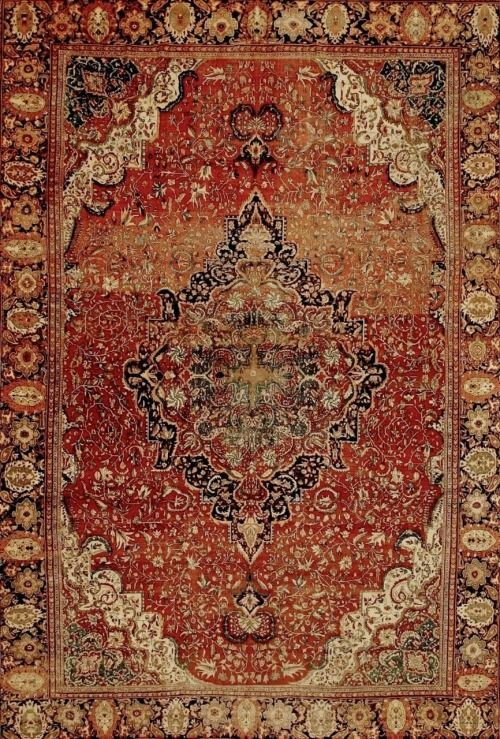 Persian Rugs, Are They Really A Symbol of Wealth & Prosperity? YOU DON’T NORMALLY spend thousands of pounds on a piece of art, then walk all over it. 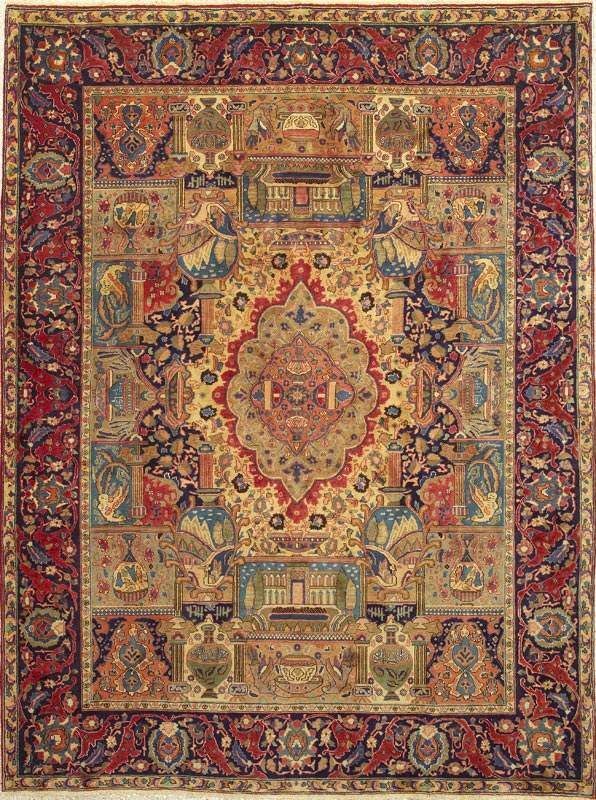 Unless you’re in the market for a Persian rugs, that is. 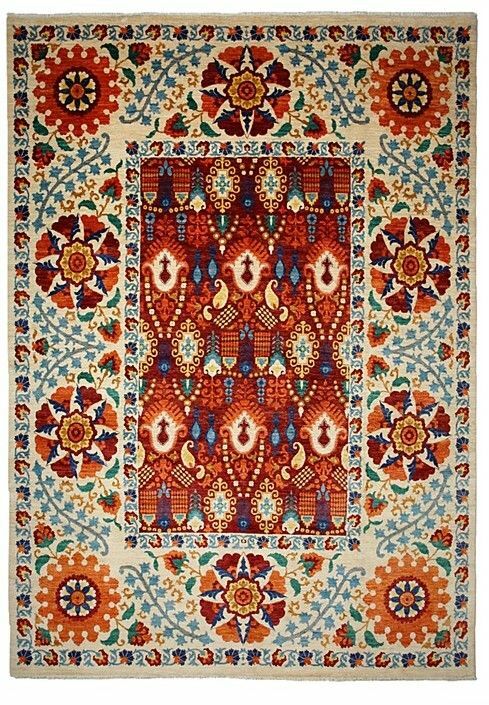 I recently picked up the keys to my first apartment, and my mind was full of rugs— the colorful beauties that covered the marble floors of my grandfather’s home in Homs, Syria. 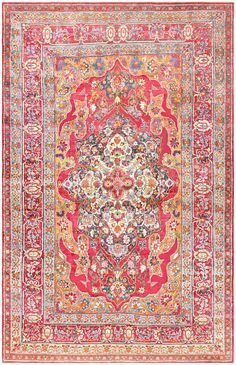 These are gone now (while a Persian rugs can survive many things, a civil war is not one of them), but the thought of them always conjures images of a large house full of people, welcoming and open to all. This is, I think, the kind of home most of us hope to make. 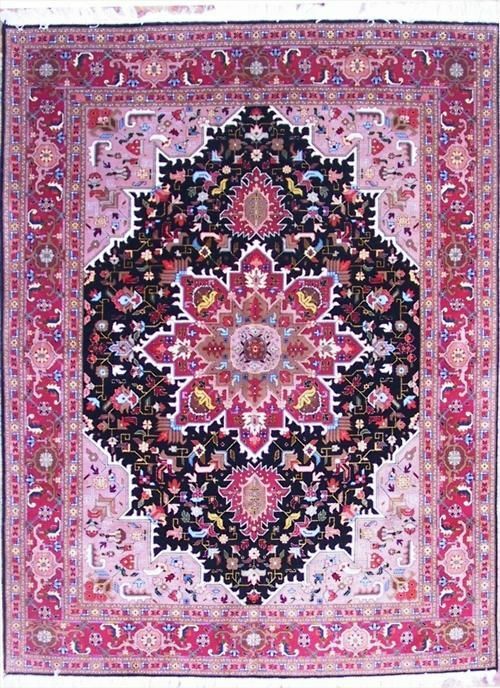 My dad tells me his father took great care in picking his persian rugs. Apparently he would scratch the back of them before buying. 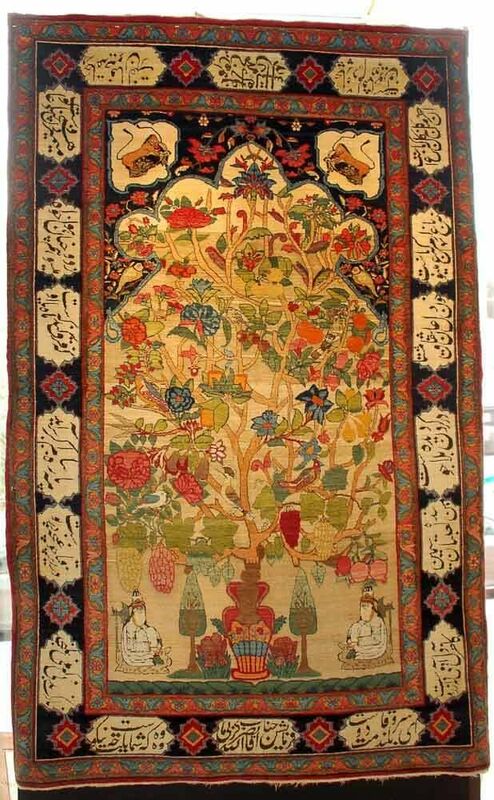 This sounded a little odd until I started looking for myself, and I realized the back of a handmade rug gives up many secrets. 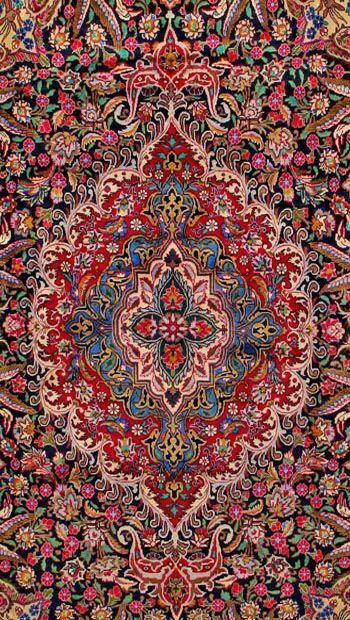 It’s here you really get to appreciate the intricacy of the weaving, with some rugs counting more than a million knots per square meter. 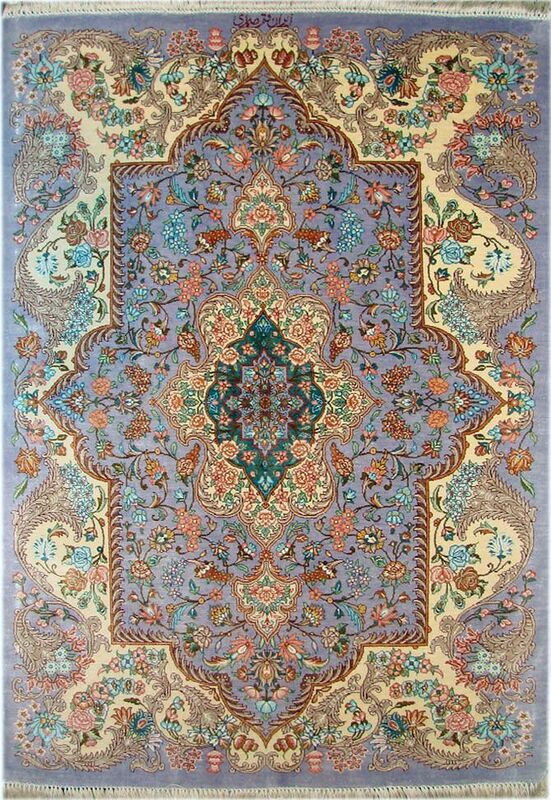 My grandfather had persian rugs from Isfahan in central Iran, I am told, which means he had good taste. If he was buying today, he’d need deep pockets. 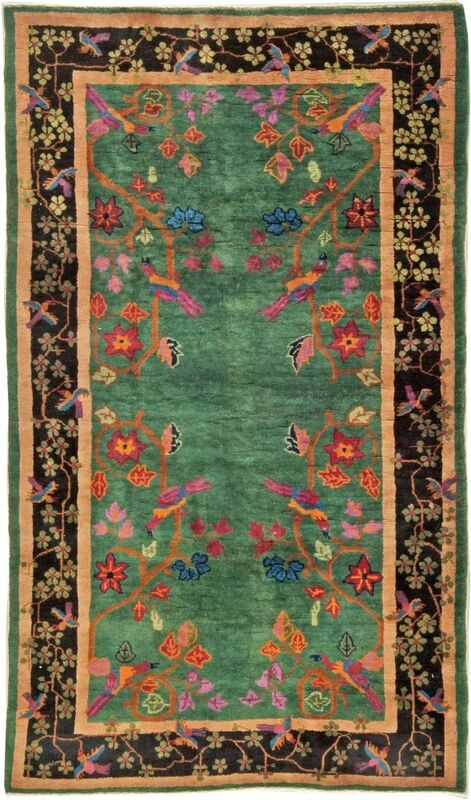 They are often made of high-quality kurk wool woven onto silk warps, and can easily run into the tens of thousands of pounds to buy—particularly those from the famous Seirafian workshop. 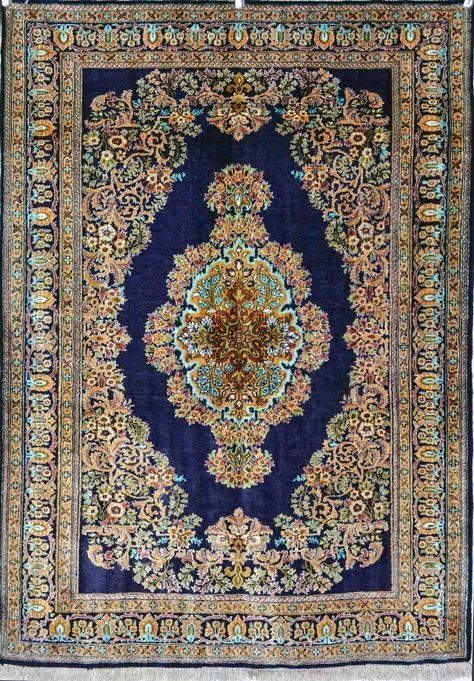 I was drawn to the carpets from Nain, a smaller city in Isfahan province that shares many design characteristics with its illustrious neighbor. 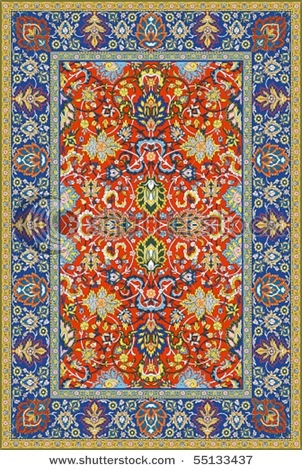 Nain rugs are woven of wool and silk, typically in creams and blues, and can be a little easier on the wallet—but not much. 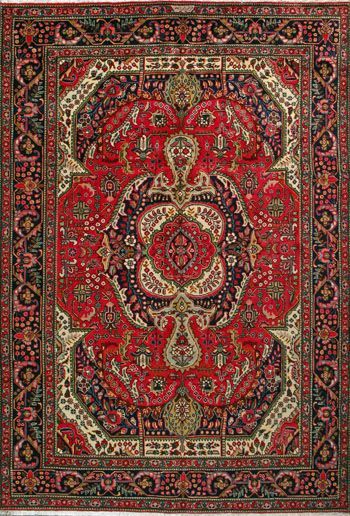 Setting out to find the right persian rugs is a journey that should not be rushed, and not just because of the sums involved when purchasing fine pieces from cities such as Isfahan, Tabriz and Kashan. 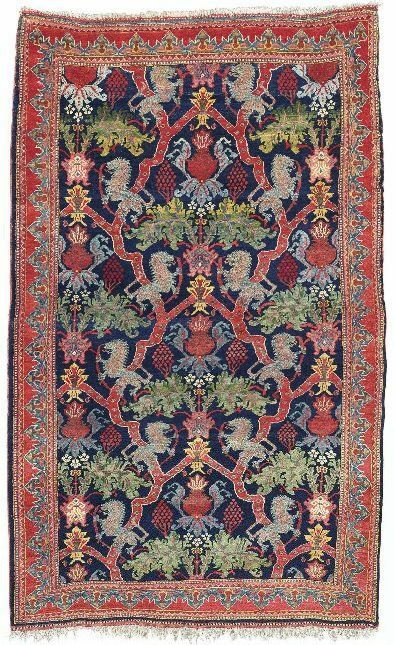 You can look on Persian rugs as an investment, but never forget they were made to be used in the home (or indeed palace), not hidden away in vaults. 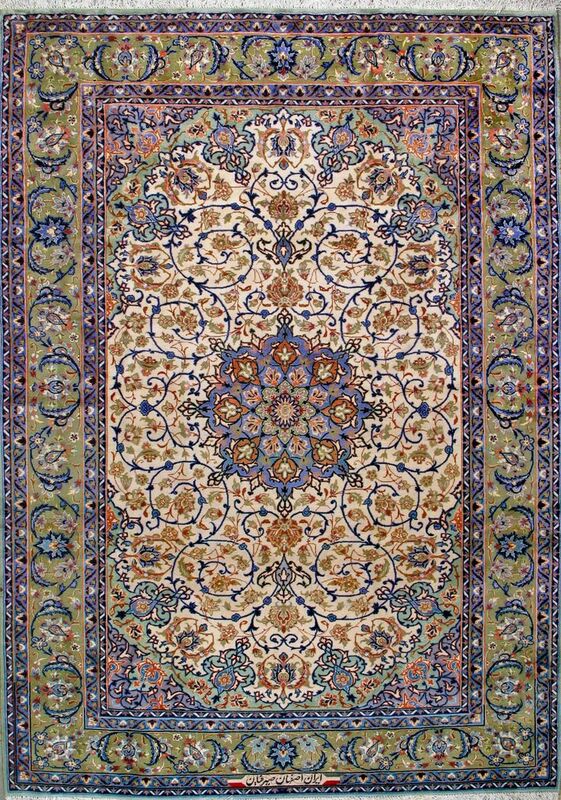 My own search began with a simple enough request: “I want a blue one.” What followed was a bit of a rug odyssey. I spent weeks trawling London’s carpet shops, large and small, and wholesalers in trading estates off the beaten track in the north part of the city, where there’s a community of dealers. Buying this way means you have to learn with your eyes. 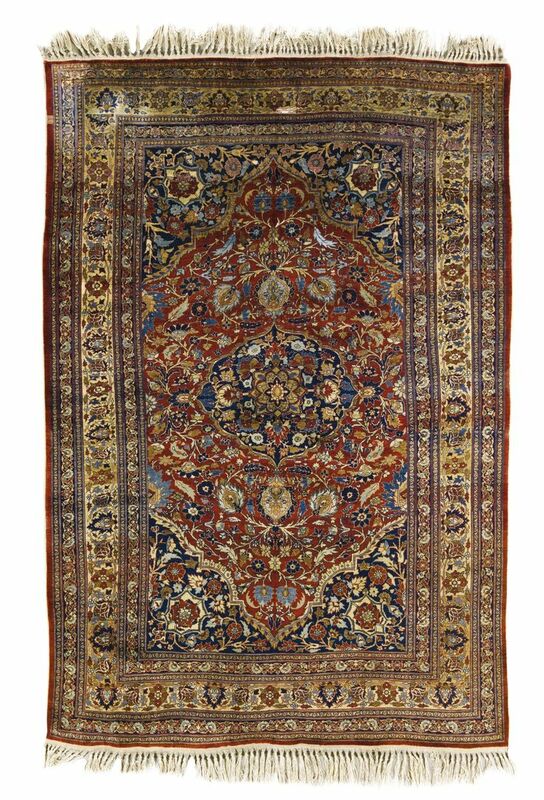 Persian Rugs from different cities have their own characteristics: the fabrics used, the colors of the dyes, or design signatures that range from naturalistic flowers and animal patterns to mosque domes and calligraphy. 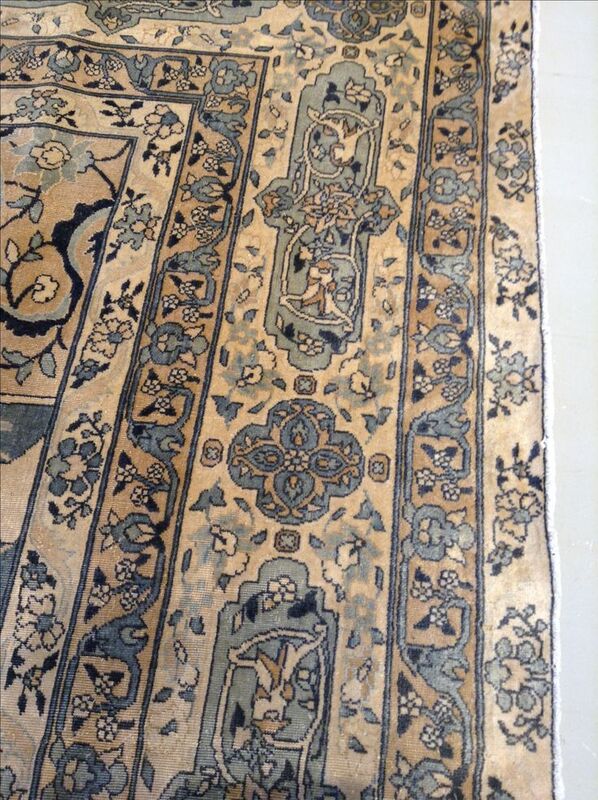 I saw many Nain rugs of varying quality, but eventually found the blue one I was looking for, rolled up like a giant cigar in the darkened storeroom of a shop on Highgate Road in north London. 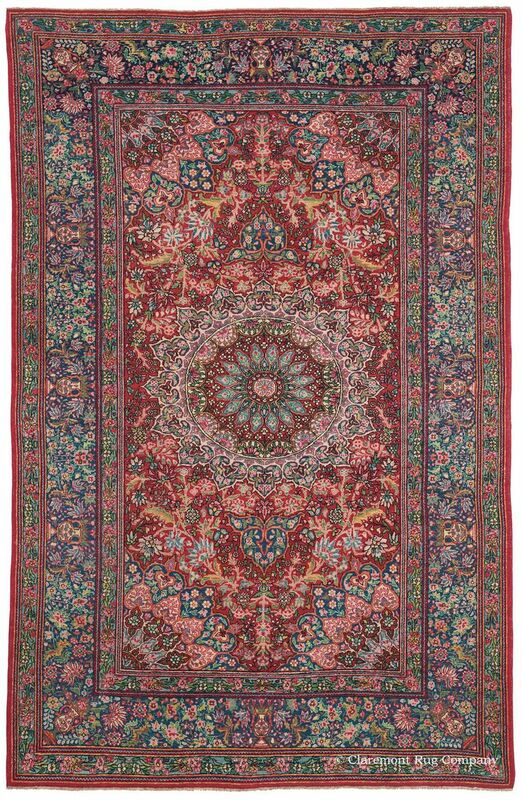 It’s from Iran’s pre-revolution years, and is unusual in that the design has no central medallion but rather displays its floral pattern across the entire “field” of the rug. 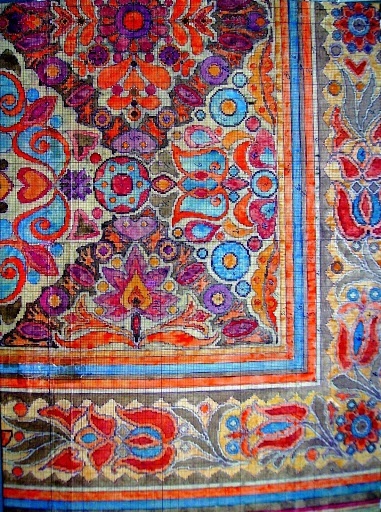 My persian rugs has its imperfections, but anything handmade is supposed to have flaws—therein lies much of the charm. 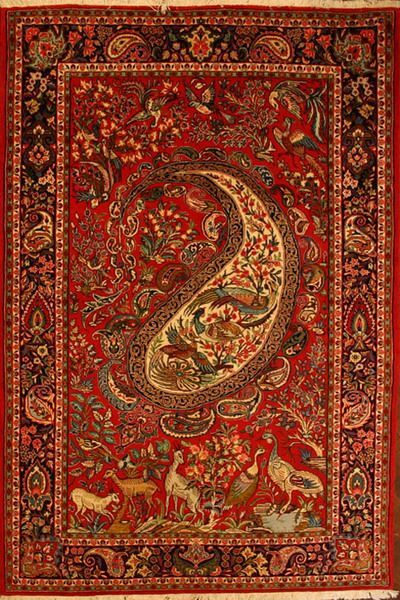 I happen to love fishing, and every time I look at it, the persian rugs reminds me of leaves on the water in fall—a flurry of browns and reds, greens and blues. I bargained over the price, but I have a terrible poker face and in the end the entire £1,000 furniture budget got blown three times over. While my grandfather would have had a few things to say about my haggling skills, I like to think he would have approved of my choice. 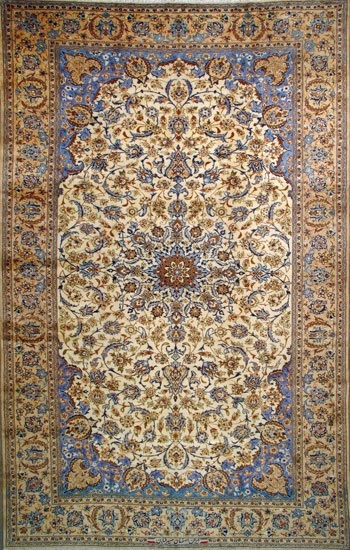 Click here to see our list of recommended online persian rugs dealers.